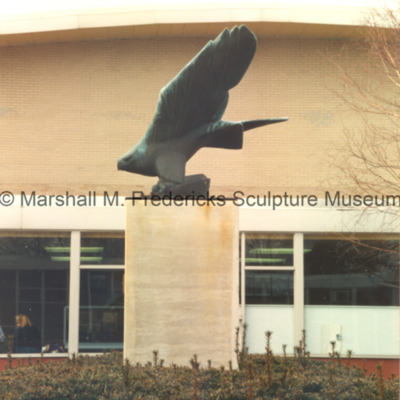 "American Eagle (Ann Arbor War Memorial Eagle)" Close-up of eagle with school in background. Madison High School, Madison Heights, Michigan. 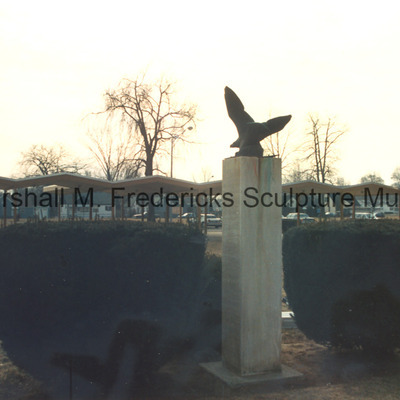 "American Eagle (Ann Arbor War Memorial Eagle)" Left front view. Madison High School. Madison Heights, Michigan. 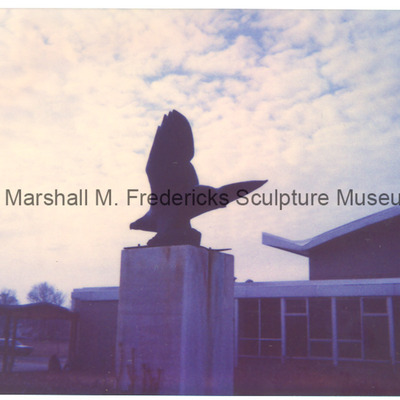 Front view of bronze eagle sculpture at Madison High School in Madison Heights, Michigan. This sculpture is a small-scale version of the war memorial found at the University of Michigan Stadium. 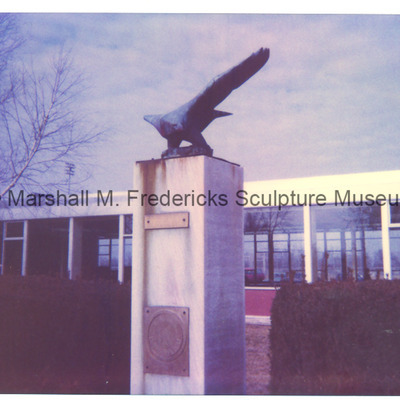 "American Eagle (Ann Arbor War Memorial Eagle)" Front view with plaques. Madison High School. Madison Heights, Michigan. "American Eagle (Ann Arbor War Memorial Eagle)" Close-up of rear view. Madison High School. Madison Heights, Michigan. 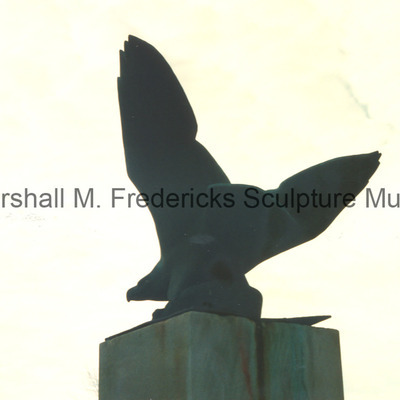 Close-up rear view of bronze eagle sculpture at Madison High School in Madison Heights, Michigan. This sculpture is a small-scale version of the war memorial found at the University of Michigan Stadium. 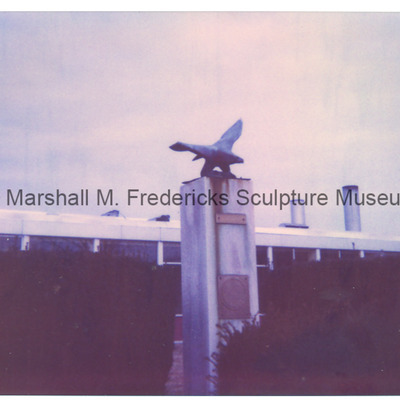 "American Eagle (Ann Arbor War Memorial Eagle)" Rear view. Madison High School. Madison Heights, Michigan. "American Eagle (Ann Arbor War Memorial Eagle)" in shadow. Madison High School. Madison Heights, Michigan. 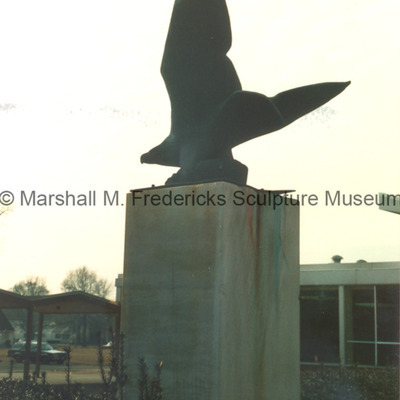 Close-up view of bronze eagle sculpture in shadow at Madison High School in Madison Heights, Michigan. This sculpture is a small-scale version of the war memorial found at the University of Michigan Stadium. 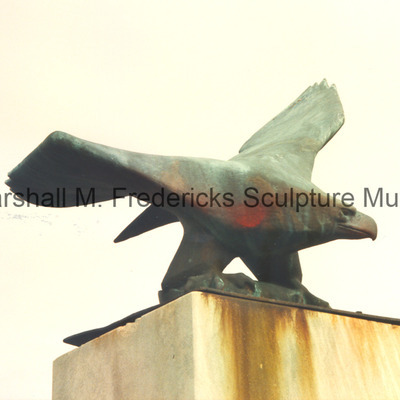 "American Eagle (Ann Arbor War Memorial Eagle)" Close-up view. Madison High School. Madison Heights, Michigan. 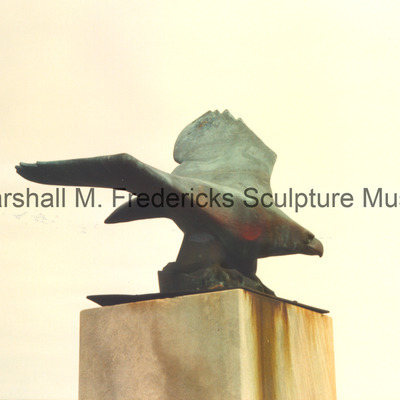 "American Eagle (Ann Arbor War Memorial Eagle)" Side view. Madison High School. Madison Heights, Michigan. 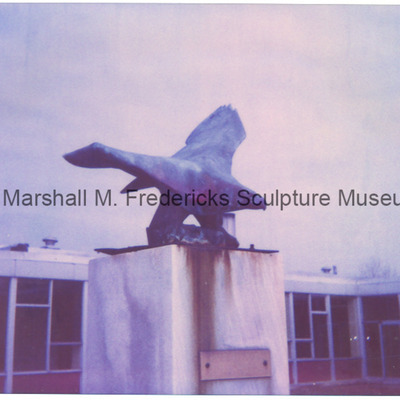 Side view of bronze eagle sculpture on a pedestal at Madison High School in Madison Heights, Michigan. This sculpture is a small-scale version of the war memorial found at the University of Michigan Stadium.